“Best of Roxette” is the title of a new song book. 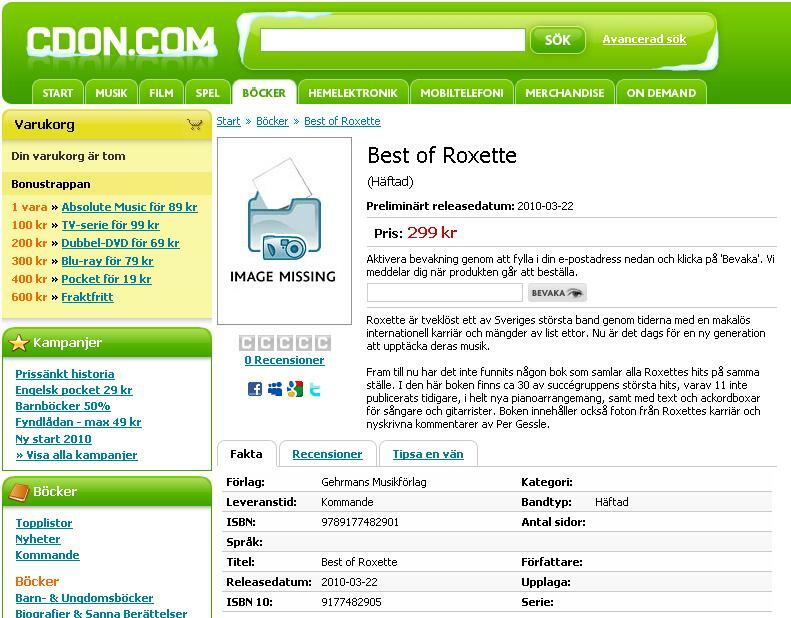 CDON.com publidshed some information regarding forthcoming release of a new Roxette song book. 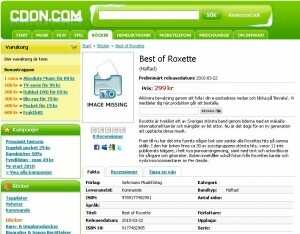 The book will be entitled “Best of Roxette” and it will be available to purchase in Sweden from March 22nd or 23rd. It costs 299 SEK. According to AdLibris.se Martin Östergren is the author behind this publication. Don’t forget to follow Gehrmans Musikförlag. Now they are working on “Neverendig love” – there will be 30 songs and 11 of them were never published in this form. The book will include Roxette’s photos as well as the comments from Per Gessle himself. Roxette to perform on Victoria’s wedding? Are you an old Leggy Mountbatten, Sir? This is getting more and more interesting. I especially like the prospect of included comments. Hopefully they’re entirely new & not just ‘nicked’ from their various Best-of/Greatest Hits releases. Either way this book is something to look forward to and maybe a reason to dust of my guitar… The addition of photos is nice as well. Roxette, Roxette, Roxette everywhere you look. It seems this will be great Roxette year. I do believe it was worth to wait all these years. True! 🙂 I expect Per’s comments to be about the music/playing and not the general stories.